Hilarity and mirth knew no bounds as PTC Punjabi organized and telecast the Grand Finale of its Talent Hunt Shoe “Laughter Da Master” on November 13 at Khalsa College in Amritsar. The Grand Finale event was telecast LIVE from 7 pm onwards on PTC Punjabi. Judges of the Grand Finale were Navjot Singh Siddhu, Rajiee M Shinde( COO – PTC Network), Rajiv Thakur, Jaswinder Bhalla and Savita Bhatti. The Mega event saw some sizzling performances by popular Punjabi singers Diljit Dosanjh, Jassi Sidhu, Lakhwinder Wadali, Honey Singh and Roshan Prince. The event was emceed by renowned Punjabi Anchor Satinder Satti and Comedian Manish Paul. 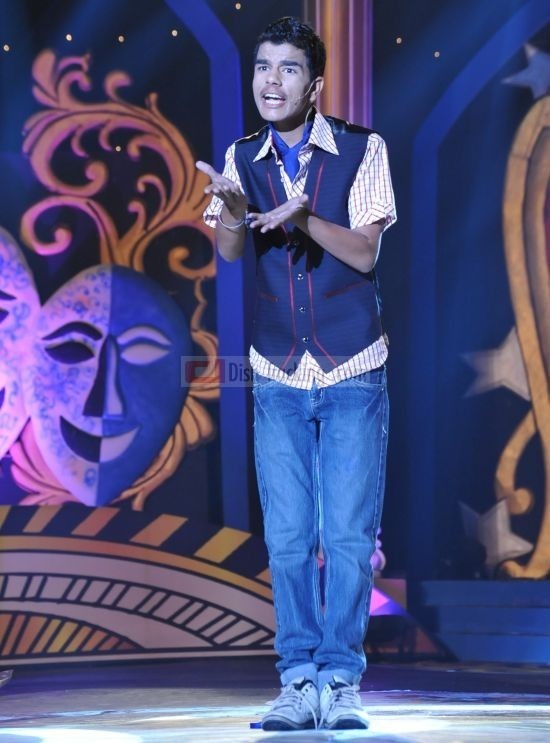 Umang Sharma, a boy next door from humble belongings, hailing from Jalandhar has been awarded the honour of Laughter Da Master Season 1.A Brand new car and a Cash prize of Rs 5 Lakh was awarded to the contest winner by the channel. According to Rajiee M Shinde, COO- PTC Punjabi, PTC News and PTC Chak De, “Starting with an extensive and well-promoted Audition exercise in various cities of Punjab, scores of contestants were screened for their comic timing and screen/stage confidence on the basis of their performance in challenging stand up acts. Post the Mega Auditions in Chandigarh, a total of 36 contestants were selected for Studio Episodes. The same were telecast on PTC Punjabi from August to November. The contestants were groomed at each stage of the process and the entire process of Laughter Da Master was well-supported by a Script Team specially called in to ensure desirable content quality. The contestants got eliminated in various stages, leaving a fine select of only five contestants to compete in the Grand Finale Event”. According to Rabindra Narayan, President- PTC Punjabi, PTC News and PTC Chak De, “It is the ability to laugh over oneself and always look at the brighter side of life that has become synonymous with the Punjabi style of living. To those blessed with the powerful yet subtle knack to make others laugh, PTC Punjabi provided a unique platform to showcase their talent and bring home the hilarity”.